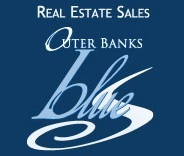 With over 900 licensed real estate agents on the Outer Banks, why me? Perhaps I can have a few of my past clients answer this for you…. "I'm an old C.P.A. and I have seen a bunch of Real Estate agents and brokers...and YOU are Good! Thank you for helping us sell our Nags Head Outer Banks home!" 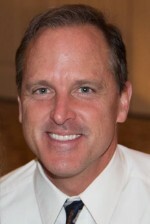 "I really am so grateful to have turned our beach property over to Rick Drumm. We had our property with another agent for over 2 years and it did not move. We finally decided to go with another agent and Rick had been sending me info for other properties and I asked if he would list our property. What a relief. He has only had the property for a short time and we went to close on the 3rd of June 2016. Thank you Rick for all of your input and determination. He can use me for a reference anytime." Vickie Gray "A really happy and satisfied customer"
"Thank you for the professionalism and expertise displayed from start to finish marketing and selling of our home in Nags Head. From the beginning, we found your Competitive Market Analysis by far the most comprehensive, insightful, and useful of several presented to us. Debbie and I knew we would have to rely on a seasoned and knowledgeable Realtor, especially with the tough real estate market - twice as many listings and 1/2 as many buyers - and the challenge to not only attract prospects, but also get offers, and negotiate a final sale. We are certainly glad we selected you, and deeply appreciate your full responsiveness to us, and effective real estate and people skills, in achieving our objective. We would not hesitate to use you, or recommend you to anyone, for real estate services in the future." If you would like to read more about what other have said about my service, there are many other testimonials listed on the website under the Testimonial section. Statistically, with over 23 years of selling experience, consistently finishing in the top 25 of all agents on the Outer Banks, and having worked over 200 transactions; you would be in very capable hands every step of the way as I guide you from beginning to end of the transaction. Communication Guarantee – if you do not hear from me by phone or email at least once a week; you can fire me! I will prepare a comprehensive property valuation using 3 proprietary tactics to establish realistic value. I offer affordable staging services where we go through the entire home, room-by-room; offering suggestions and ways to either repurpose existing furniture in other areas of the home, eliminate unnecessary pieces of furniture and décor, add art work if needed, re-centering rooms, cleaning, touch up paint, and whatever else is needed to make the home present the best that it can. We can give you these ideas to take care of yourself, or you can hire my stager to take care of all the details at a very affordable price. Open houses when appropriate; depending on the time of the year and if the home can be vacant and ready.